We had a few hours after work to get out on the water. The weather conditions were ideal with temps in the mid 60’s, high sun, and just enough breeze to keep the boat moving. We were planning on searching for jumbo perch but had a feeling that the bite would die as the sun set, so we were prepared with our bass gear. It didn’t take us long to find fish. We were cruising along the 28′ contour but finding mainly bluegill and pumpkinseed. 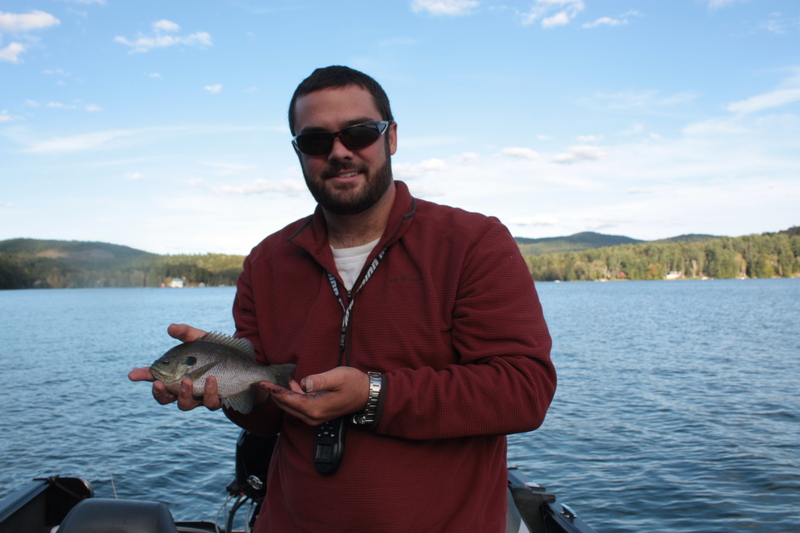 The perch that we did find were smaller than usual coming in around 10-11.5″. After a bit or looking around the school of panfish in all directions, we went to a completely different section of the lake. We found about the same results but a few larger perch. With the sun hitting the trees, we looked hard to find any fish that were willing to bite but not much luck was coming our way. We began to pack up our bottom bouncing rigs and vertical jigging rods in order to make room on the main deck for casting bass gear. 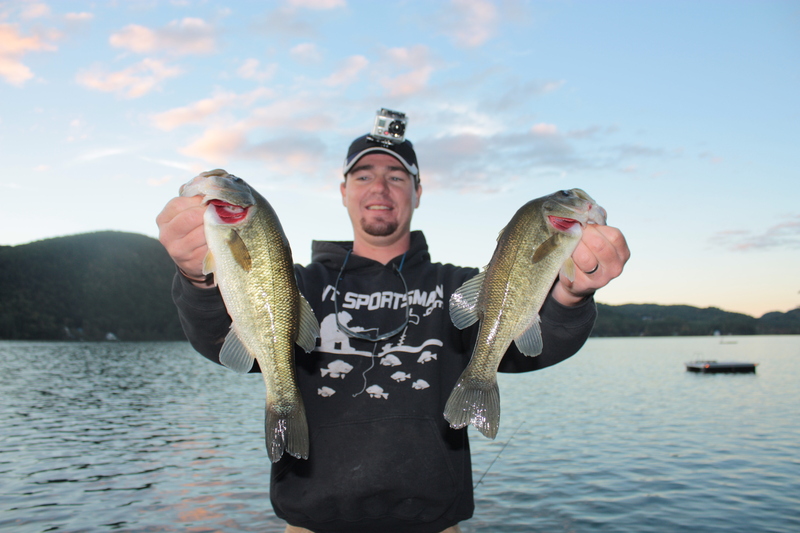 The main lure selections for bass were light colored crankbaits and senkos. We pounded the shores for about an hour before we decided it was too dark. Most of the fish we found were right close to shore or suspending over deep water weed beds. Although none of the bass were big it was good constant action. 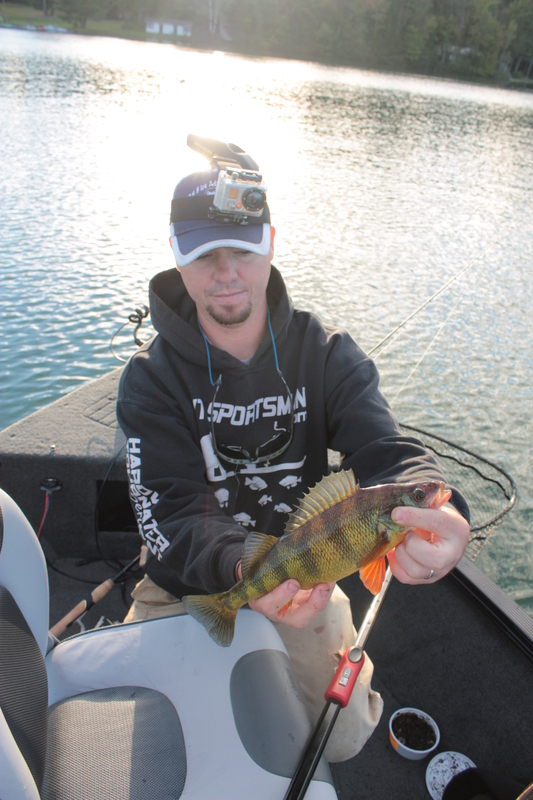 Check out Deep Water Panfish And Shoreline Bass on our YouTube page!